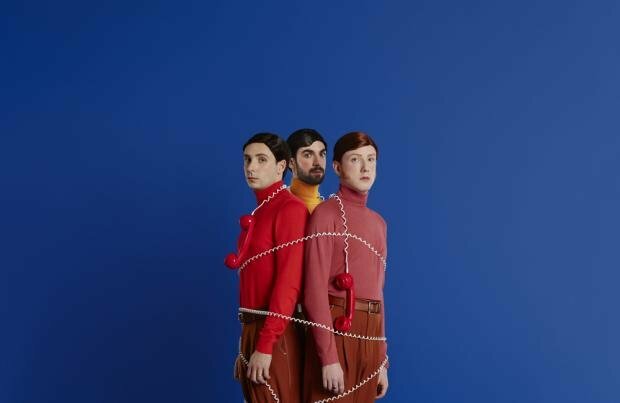 Two Door Cinema Club are set to play a tiny show at Oval Space as part of Annie Mac's AMP London series. The synth-pop three-piece – who recently returned with the wonky disco track 'Talk', their first new music since 2016 LP 'Gameshow'- have been announced as headliners for the AMP show on March 30, which will see them supported by Liverpool indie rockers Circa Waves and dream pop band Anteros. BBC Radio 1 DJ Annie – who made 'Talk' her 'Hottest Record In The World' – commented: "We're over the moon to have Two Door Cinema Club perform as part of our first ever AMP London series of shows. "It will be so exciting to see them play in a space like Oval Space." AMP London, which takes place between March 27 and March 30, across 14 venues in the British capital, will also see performances from the likes of Sam Fender, Mahalia, Koffee, Kojey Radical and Annie Mac herself, who will be taking to the decks. There will also be two daytime talks at Moth Club in Hackney, featuring discussion around the future and evolution of today's music artists and industry. Annie said: "AMP London is an accumulation of what we've done for years. "Prioritising music discovery and supporting bands and artists, AMP London aims to celebrate and consolidate London's globally renowned music scene, inspire conversations around music, and, ultimately create something that is culturally impactful and invigorating for music lovers of multiple genres." Last year, Annie hosted AMP Sounds across venues in London, with shows from the likes of Jessie Ware, Wolf Alice, The Black Madonna, Dream Wife, Sunflower Bean and Superorganism. The final night at London's Roundhouse saw surprise guest appearances from Sam Smith and Years & Years' Olly Alexander.